The “Invisible” Russian Hand pulls the strings: force Sessions to resign, fire Mueller, suppress the investigation. “Nice job”, Kislyak! This is his last (?) parting “goodbye present”. The “Russian Playbook” plan apparently is to turn America into the Russian vassal, into the Putinist-Trumpist entity with the tight micromanagement from the Kremlin. The Putin’s style of acquiring and holding to power which he demonstrated so adeptly within his own country and political system, now is exported to the U.S. and the rest of the “free world”. The self-assuring claims that “it will never work” are not enough. Something decisive, smart, and fast enough (barring the political assassinations, God forbid) has to be done until it is really too late. This is a very real crisis. Mr. Mueller, is it possible to complete this investigation as soon as possible before the major damage is done? Negotiators in both parties are nearing final approval of a sweeping sanctions deal that does not include changes the White House sought to make it easier for President Donald Trump to ease penalties against Russia, congressional sources said Friday. Two days after Donald Trump tried and failed to convince Attorney General Sessions to resign by publicly attacking him, a new piece of dirt on Sessions has conveniently leaked to the media. The leak has obviously been strategically timed to hit Sessions while he’s down. It may be that Trump himself leaked this dirt to try to force Sessions out of office. But if so, it’s likely to backfire on Trump in devastating fashion. This new leak to the Washington Post (link) is clearly based on old information that someone has been sitting on. 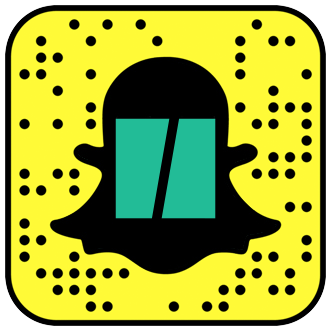 The source is an intel community wiretap on Russian Ambassador Sergey Kislyak’s phone. But that wiretap was burned back when someone leaked that Kislyak had been caught discussing his meeting with Jared Kushner. After that, Kislyak would have changed his phone to ditch the wiretap. So this new revelation about Sessions has been in possession of the U.S. intel community for at least a few months. The question is why it’s being leaked now. If Donald Trump was indeed trying to prompt Jeff Sessions to resign by attacking him in the New York Times interview, it didn’t work. Sessions says he’s staying. So someone on Trump’s side may have leaked this damaging Russia dirt on Sessions in order to finish the job. With Sessions out of the way, Trump can try to appoint a new Attorney General who wouldn’t have to recuse himself from the Russia investigation, meaning that the new Attorney General could theoretically fire Special Counsel Robert Mueller. But this isn’t going to play out like Trump might hope. Jeff Sessions hasn’t survived as a corrupt politician all these years by being a dummy; he only pretends to be dumb. If Trump leaked this to force Sessions to resign, Sessions will promptly figure that out. He’ll know that Trump has sold him out entirely. And it’ll motivate Sessions to flip on Trump and take him down. Moreover, at this point it’s unlikely that Trump could get the Senate to confirm any new Attorney General he might nominate. So if this is a plot to get rid of Mueller, it’ll fail. Once again, Trump has overplayed his hand out of spite. If you find Palmer Report valuable, make a donation. The post Donald Trump may have just leaked Russia dirt about Jeff Sessions to finish him off – but it’ll backfire on Trump appeared first on Palmer Report. Last night, word surfaced that Donald Trump has begun inquiring as to whether he can pardon himself in a last ditch effort at getting away with his numerous crimes. The public largely interpreted this as a sign that Trump has finally realized how much trouble he’s in, and how limited his remaining options are. But now some legal expert are saying that Trump has literally no way out of this under the law. 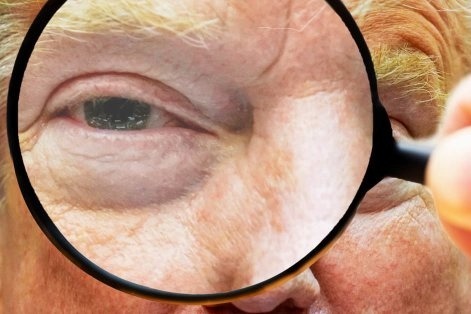 This evening the Washington Post published an scholarly article that was jointly credited to three prominent legal experts: Harvard Law Professor Laurence Tribe, University of Minnesota Law Professor Richard Painter, and Brookings Institution Senior Fellow Norm Eisen. Their joint conclusion is that the Constitution makes clear the President cannot pardon himself, period (link). Painter then appeared on television and took things even further. Painter, who was the chief White House ethics lawyer in the latter years of the George W. Bush administration, appeared on MSNBC late Friday evening and stated that there is “not a single example of a self-pardon anywhere that I can find. The concept makes no legal sense. The Office of Legal Counsel advised in the Nixon administration years that you could not do that, the president could not do that. So that’s off the table.” But then he took a jab directly at Donald Trump, which helped to spell out just how screwed Trump really is when it comes to his current situation. Richard Painter summed up his legal findings by suggesting that Trump should “look into other options. Maybe, I don’t know, go join Mr. Snowden over in Moscow or something. But this self-pardon idea is not gonna work.” And again, this is expert legal interpretation of a widely respected ethics lawyer from a Republican administration. If you find Palmer Report valuable, make a donation. The post Legal expert says that other than fleeing to Moscow, Donald Trump has no remaining way out of this appeared first on Palmer Report. MOSCOW — In 2013, the Russian oligarch Aras Agalarov and his son, Emin, arranged an extravagant party entrance for their guest, Donald Trump: an armored Mercedes stretch limo driving off a freight elevator right into a ballroom with 3,000 bedazzled Russian guests. They were worried Trump’s security detail might spoil the surprise. Then Trump waved his team off. That trust has helped to draw Trump into the most punishing scandal of his six-month-old presidency, as revelations of a meeting at Trump Tower in June 2016 brokered through the Agalarovs have raised alarms about dealings by Trump aides and family members with Russian lobbyists, some with ties to government officials and intelligence services. Aras Agalarov, the real estate magnate and amiable purveyor of high-end goods in all sizes and shapes, has emerged as a possible conduit from the Kremlin to Trump. 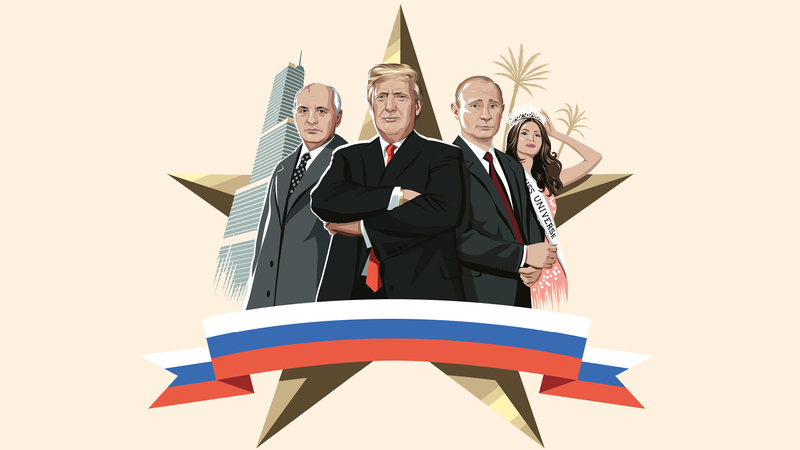 He is a man who rose through the Moscow luxury, real estate and entertainment worlds by playing the role of consummate fixer and reliable executor, building political capital in the Moscow region, and increasingly in the Kremlin itself. “Agalarov understands what service is. He understands that doing business is more than just sending the bill,” said Yves Gijrath, the founding director of the Amsterdam-based LXRY Media Group, who had dealings with him going back to 2005. For years, Agalarov has built a reputation as an eager-to-please business tycoon who helped bring bling to Russia, from the luxury footwear boutique he opened in 1991 on Moscow’s prestigious Stoleshnikov Lane, to the suburban estates and pristine golf courses he has built to satisfy the Madison Avenue aspirations of Russia’s hyper-wealthy. A series of important government infrastructure projects, including a $1.2 billion university campus in Russia’s Far East and stadiums for the upcoming World Cup, have made him a trusted executor for the Kremlin, if not a member of Russian President Vladimir Putin’s inner circle. Primarily through real estate, his wealth has blossomed to nearly $2 billion, according to Forbes, and his son Emin was married to the daughter of the president of Azerbaijan in 2006. (They divorced in 2015). Long before Trump brought the Miss Universe contest to Moscow in 2013, Agalarov was adept at charming foreign clients. Gijrath came to Moscow in 2005 to pitch a Millionaire Fair, which Agalarov hosted at his then brand-new Crocus City complex, a luxury shopping center playground for Moscow’s rich and famous. Gijrath gave an example of Agalarov’s hospitality: the fair was ground zero for Russia’s flourishing culture of conspicuous consumption, with diamond-encrusted cellphones, yachts, Turkmen stallions and entire islands for sale. But even for a blowout dedicated to luxury, Gijrath found he had booked too much space. Over vodka shots at a posh Italian restaurant, Agalarov forgave him a more than $1 million obligation from the contract and offered to kick in on electricity costs. The fair went forward, at an expo center Agalarov had built at Crocus City. In 2009, he opened a concert hall and the country’s only privately owned metro station nearby. The huge complex is located just outside Moscow’s city limits, close to the offices of the Moscow regional government, where Agalarov forged a close alliance with Boris Gromov, the powerful regional governor until 2012. “The mere possibility of a huge construction project in the Moscow region; construction of a private metro station — no one else has a private metro station — this all shows the level of his connections,” said Ilya Shumanov, the deputy director of Transparency International’s Russian office. Now the region, which encompasses the towns and cities surrounding Moscow proper, is the seat of power of Gov. Andrei Vorobyov, who previously served as an aide to Sergei Shoigu, his predecessor as governor and currently Russia’s defense minister. Along with Yuri Chaika, Russia’s prosecutor general since 2006, the officials are seen as an important interest group within Russian politics, Shumanov said. They regularly cross paths with Agalarov. Vorobyov cut the ribbon at the opening of Agalarov’s Vegas concert hall in the city of Krasnogorsk last year, and Agalarov wrote a sharply worded defense of Chaika in the newspaper Kommersant after a 2015 corruption allegation by the opposition leader Alexei Navalny. Despite having strong regional connections, Agalarov was still seen as a minor player in the Kremlin compared with the heavyweights who dominate Putin’s inner circle. “We’re talking about someone several steps lower than them,” Shumanov said. A breakthrough came in 2009, when the Kremlin had a particularly thorny problem to solve: construction of a sprawling, 70-building university campus on the all-but-abandoned Russky Island on Russia’s Pacific Coast, where Putin was to hold a summit for 21 countries at the Asia-Pacific Economic Cooperation meeting. Igor Shuvalov, then first deputy to Putin as prime minister, summoned Agalarov to discuss the project. The Kremlin expects the country’s wealthiest business executives to take on, when asked, large-scale infrastructure projects, sometimes at a loss, to supplement the budget and promote Russia’s national interests. The fortunes of Russia’s rich can rise and fall precipitously based on the outcome of these prestige projects. Agalarov’s work in the Far East earned him an Order of Honor at a Kremlin ceremony, bestowed by Putin himself in 2012. That year, Shuvalov and Vladi­mir Kozhin, a senior Kremlin official, attended a 10th anniversary party held at Crocus City. Soon there were more requests. In 2014, Agalarov signed on to save two troubled football stadiums, in Kaliningrad and the southern Russian city of Rostov, for the 2018 World Cup, as well as a 30-mile stretch of a new Moscow beltway. One example of the give was a “strategic cooperation agreement” announced in 2013 with the state-run Sberbank to finance a $3 billion Crocus Group development, possibly including a Trump Tower. Agalarov also sought to bring Trump and Putin together. In last year’s interview, Agalarov told The Post that he secured a preliminary agreement to organize a Kremlin meeting with Trump when he visited in 2013. When Putin canceled at the last minute, Agalarov took his case to the head of the Kremlin protocol department. “You know what? I’m in a very complicated situation. Could you tell him that yourself?” Agalarov asked the bureaucrat, he recounted in his 2016 interview. His efforts produced a handwritten note from Putin and a traditional lacquered box, gifts that Trump happily accepted. Those contacts put Agalarov in a privileged position after Trump’s unexpected, and apparently Russian-backed, rise to the presidency of the United States. According to emails released by Donald Trump Jr., it was Chaika who proposed providing Agalarov’s friend, Trump, with damaging information about Hillary Clinton. The contact with the younger Trump was made by Rob Goldstone, a British music promoter who had worked with Emin Agalarov. “This is obviously very high-level and sensitive information but is part of Russia and its government’s support for Mr. Trump — helped along by Aras and Emin,” according to Goldstone’s email to Trump Jr. proposing the meeting. Through spokesmen, the Agalarovs have denied Goldstone’s version of the story, saying they were asked only to broker a meeting. Whether Chaika initiated that project himself has become a matter of debate. Natalia Veselnitskaya, the lawyer sent to the meeting in New York, apparently focused primarily on lobbying Trump Jr., his brother-in-law Jared Kushner and the campaign chief Paul Manafort about U.S. sanctions against Russian officials under the Magnitsky Act. The use of Goldstone as a conduit to Trump Jr. suggests that this was not seen as an especially sensitive mission, said Mark Galleotti, a specialist on the Russian armed forces and intelligence establishment. It meant there “would be an email chain a mile long, and you know it’s not going to be kept quiet or secret,” he said. While the meeting between Trump Jr. and Veselnitskaya appeared to produce few concrete results, that does not mean that the Kremlin came away empty-handed. Sessions’ conversations with Sergey Kislyak were recounted by the ambassador in subsequent discussions that were intercepted by US intelligence agencies, according to The Washington Post. Sessions recused himself from any investigations involving Russia when it became public that he met with Kislyak. However, he insisted he never discussed campaign-related issues with any Russian officials. “I never had meetings with Russian operatives or Russian intermediaries about the Trump campaign,” he said in March. In the normal course of events, the revelation of attempted collusion with Russia to determine the outcome of a presidential election might cause an administration to overcorrect in the other direction. A president might find ways to confront the range of Russian aggression, including cyber-aggression, if only to avoid the impression of being bought and sold by a strategic rival. But once again, Donald Trump − after extended personal contact with Vladimir Putin and the complete surrender to Russian interests in Syria − acts precisely like he has been bought and sold by a strategic rival. The ignoble cutoff of aid to American proxies means that “Putin won in Syria,” as an administration official was quoted by The Washington Post. Concessions without reciprocation, made against the better judgment of foreign policy advisers, smack more of payoff than outreach. If this is what Trump’s version of “winning” looks like, what might further victory entail? The recreation of the Warsaw Pact? The reversion of Alaska to Russian control? There is nothing normal about an American president’s subservience to Russia’s interests and worldview. It is not the result of some bold, secret, Nixonian foreign policy stratagem − the most laughable possible explanation. Does it come from Trump’s bad case of authoritarianism envy? A fundamental sympathy with European right-wing, anti-democratic populism? An exposure to pressure from his checkered financial history? There are no benign explanations, and the worst ones seem the most plausible. There is no way to venture where this approach ends up, except that it involves greater Russian influence and intimidation in Eastern Europe and in the Middle East (where Iran, the Syrian regime and Hezbollah are winners as well). But we can already count some of the costs. Trump is alienating Republicans from their own heroic, foreign policy tradition. The conduct of the Cold War was steadied and steeled by Ronald Reagan, who engaged with Soviet leaders but was an enemy of communism and a foe of Soviet aggression. 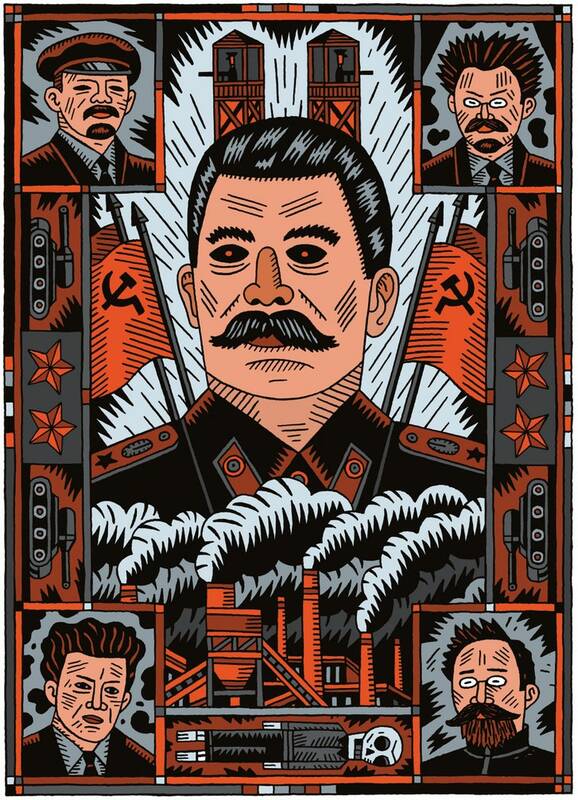 In fact, he successfully engaged Soviet leaders because he was an enemy of communism and a foe of Soviet aggression. There is no single or simple explanation for the end of the Cold War, but Republicans have generally held that America’s strategic determination played a central role. Now Trump pursues a policy of pre-emptive concession with a Russia that is literally on the march in places such as Georgia and the Ukraine. Trump is the Henry Wallace of the populist right (which more than occasionally finds common cause with the populist left). “We should recognize,” Wallace argued following World War II, “that we have no more business in the political affairs of Eastern Europe than Russia has in the political affairs of Latin America, Western Europe and the United States.” The difference now is that Russia has made the political affairs of the United States very much its business. With almost no serious American response. Russian interference in America’s self-defining civic ritual has been almost costless. And this points to the main cost of Trump’s Russophilia. It is effective permission for a broad, unconventional Russian offensive, designed to undo the “color revolutions” and restore lost glory at the expense of neighbors and American interests. Russia has employed a sophisticated mix of conventional operations and cyber-operations to annex territory and destabilize governments. It has systematically encouraged far-right, nationalist leaders and supported pro-Russian, anti-democratic parties across Europe. It is trying to delegitimize democratic processes on the theory that turbulence in the West is good for a rising East. This is a strategy that allows Russia to punch above its strategic weight, especially since Trump has chosen to abdicate America’s natural role in opposition. 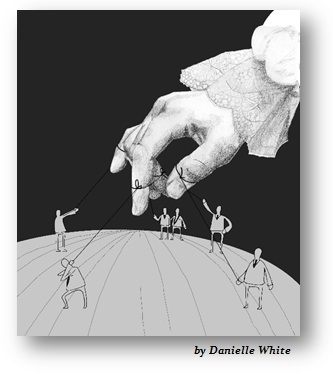 How deep is this transformation of America’ global self-conception? I suspect (and social science seems to indicate) that most foreign policy views of the public are shallowly held and that leaders play a disproportionate role in legitimizing or delegitimizing views on things like trade, foreign aid or Russia. So 49 percent of Republicans now identify Russia as an ally or friend, taking their political signal from the head of their party. But this cognitive conformity would probably work in the other direction with a more traditional Republican leader. The problem is the damage to American interests done in the meantime. It now seems that the Russians − by meddling in a presidential election and by downplaying such aggression − has achieved an intelligence coup beyond the dreams of the Soviet era. The result is an America strategically and morally disarmed. One U.S. official said that Sessions — who testified that he has no recollection of the April encounter — has provided “misleading” statements that are “contradicted by other evidence.” A former official said that the intelligence indicates that Sessions and Kislyak had “substantive” discussions on matters including Trump’s positions on Russia-related issues and prospects for U.S.-Russia relations in a Trump administration. Current and former U.S. officials said that assertion is at odds with Kislyak’s accounts of conversations during two encounters over the course of the campaign, one in April ahead of Trump’s first major foreign policy speech and another in July on the sidelines of the Republican National Convention. Trump, in an interview this week, expressed frustration with Sessions’s recusing himself from the Russia probe and indicated that he regretted his decision to make the lawmaker from Alabama the nation’s top law enforcement officer. Trump also faulted Sessions as giving “bad answers” during his confirmation hearing about his Russian contacts during the campaign. Officials emphasized that the information contradicting Sessions comes from U.S. intelligence on Kislyak’s communications with the Kremlin, and acknowledged that the Russian ambassador could have mischaracterized or exaggerated the nature of his interactions. “Obviously I cannot comment on the reliability of what anonymous sources describe in a wholly uncorroborated intelligence intercept that the Washington Post has not seen and that has not been provided to me,” said Sarah Isgur Flores, a Justice Department spokeswoman in a statement. She reiterated that Sessions did not discuss interference in the election. But U.S. officials with regular access to Russian intelligence reports say Kislyak — whose tenure as ambassador to the United States ended recently — has a reputation for accurately relaying details about his interactions with officials in Washington. Former FBI director James B. Comey fueled speculation about the possibility of a Sessions-Kislyak meeting at the Mayflower when he told the same Senate committee on June 8 that the bureau had information about Sessions that would have made it “problematic” for him to be involved in the Russia probe. Comey would not provide details of what information the FBI had, except to say that he could only discuss it privately with the senators. Current and former officials said he appeared to be alluding to intelligence on Kislyak’s account of an encounter with Sessions at the Mayflower. Did he also sell his soul, his honor, and his country after this “first step”? For how much? Mr. Mueller, give us your estimate for this bottom line, please, for the legal accuracy and correctness. Not that these figures matter that much, it does not really make much of a difference in this instance, if he did it for $1 or $1B. What matters if he did it, which still is very hard to believe. After denial and deception come confrontation, “bargaining”, and acceptance of this possibility. Which is also hard to do. Why Donald Trump and his circle were not investigated and prosecuted on money laundering charges earlier; before he started his election campaign and before he became a U.S. President?! This is the great error of omission on the part of the FBI. Investigate the FBI investigators! Reform the FBI! Prevent this scandal, this historical drama and political tragicomedy, this humiliation of the American political culture on the world stage, from happening ever again! FBI: think deeper, search better, including under your very noses, and very possible, among your own “valiant midst”. Ways to limit or weaken special counsel Robert Mueller’s Trump-Russia investigation are being explored by some of President Trump’s lawyers after Trump asked his advisers about his powers to pardon aides, family members and even himself in connection with the investigation, with Carol D. Leonnig, Ashley Parker, Rosalind S. Helderman and Tom Hamburger report at the Washington Post. Trump’s legal team is also reportedly amassing allegations of conflicts of interest against Mueller, an allegation disputed by a source with knowledge of the discussion who spoke to Eli Watkins at CNN. It would be “extremely disturbing” if President Trump were thinking of pardoning aides who could be implicated in the Trump-Russia investigation, the highest-ranking Democrat on the Senate Intelligence Committee Sen. Mark Warner (Va.) said yesterday following reports that the president was consulting with advisers on his pardoning powers in connection to the probe. The Guardian reports. It would be a “mistake” to fire Mueller, Sen. Marco Rubio (R-Fla.) who sits on the Senate Intelligence Committee said yesterday, Olivia Beavers reporting at the Hill. The spokesperson for President Trump’s legal team Mark Corallo resigned because he disagreed with its reported strategy of discrediting or limiting the team directing the Trump-Russia investigation, Josh Dawsey reports at POLITICO. Trump’s lawyer Marc Kasowitz’ role is being reduced and he is no longer running the legal strategy, which will now be handled by internal White House lawyer Ty Cobb, according to two people familiar with the matter, who added that Kasowitz could leave the team altogether. Josh Dawsey reports at POLITICO. Special counsel Robert Mueller is reportedly looking at transactions involving Trump’s businesses and those of his associates as part of the Russia probe despite the president’s warning earlier this week that he would cross the line by looking into his finances, Greg Farrell and Christian Berthelsen report at Bloomberg. There was no question that Russia interfered in the 2016 election, President Trump’s homeland security adviser Thomas Bossert and C.I.A. Director Mike Pompeo said at the Aspen Security Forum in Colorado yesterday, Kevin Johnson reporting at USA Today. Possible money laundering by former Trump campaign manager Paul Manafort is being investigated by special counsel Robert Mueller as part of his Russia probe, Erica Orden reports at the Wall Street Journal. Paul Manafort’s request to retract an article reporting that the former Trump campaign manager was in debt to pro-Russia interests by up to $17 million before he joined the campaign last year was denied by the New York Times, Hadas Gold reports at POLITICO. With the president’s son, son-in-law and former campaign manager due to testify July 26 before the Senate Judiciary Committee about Russian influence on the U.S. election, Michelle Ye Hee Lee provides a timeline of Donald Trump Jr.’s contradictory statements about his meeting with Russian lawyer Natalia Veselnitskaya at the Washington Post. Americans are in danger of forgetting how a president who respected his or her office and the Constitution and had nothing to hide would speak and behave. The Washington Post editorial boardimagines what an “ethical president” would have said in Trump’s interview this week. It is paramount that the Trump administration follows through on the steps taken by its predecessor to make clear that the U.S. is united in opposition to Russian interference and that further attempts will not succeed. Denis McDonough, White House chief of staff from 2013-2017, describes the events that took place inside the Obama administration last fall at the Washington Post. Attorney General Jeff Sessions plans to remain in his role despite comments from the president that he would not have nominated him if he’d known he would recuse himself from the Trump-Russia investigation in an interview this week, Sessions said yesterday, Robert Costa, Sari Horwitz and Matt Zapotosky reporting at the Washington Post. President Trump still has confidence in Sessions, White House spokesperson Sarah Huckerbee insisted yesterday, but reiterated that Trump was “disappointed” with Sessions’ decision to recuse himself from matters related to Russian interference. Niall Stanage reports at the Hill. President Trump still has confidence in Sessions, but the better question is does Sessions still have confidence in the president? Trump needs Sessions now more than ever, and if he quits, it might be hard to find someone willing to replace him, writes the Wall Street Journal editorial board. This is not the typical Trump administration feud. For Trump, Sessions’ decision to recuse himself from the Russia investigation triggered everything that has happened since, explain Glenn Thrush and Maggie Haberman at the New York Times. The Treasury Department imposed a $2 million fine on Secretary of State Rex Tillerson’s former company ExxonMobil for violating Ukraine-related sanction in May 2014 by “signing eight legal documents related to oil and gas projects in Russia with Igor Sechin,” a close ally of Prussian President Putin, according to Treasury’s Office of Foreign Assets Control. Robbie Gramer and Noah Buyon report at Foreign Policy. Exxon filed a legal complaint against the Treasury Department that called the fine “unlawful” and “fundamentally unfair” yesterday, this latest confrontation demonstrating the flipside of Trump’s strategy of filling his cabinet with titans of industry in the hope that their corporate expertise would help them confront global issues, suggest Damian Paletta and Carol Morello at the Washington Post. G.O.P. lawmakers gave their clearest indication yet yesterday that the Russia sanctions bill would ultimately move forward without the changes to language that would empower Congress to block President Trump from any attempt to ease or end sanctions sought by the White House, reports Elana Schor at POLITICO. A resolution to the impasse stemming from procedural spats and policy objections over the Russia sanctions bill should be “more or less” reached “over the next 24 hours,” House Majority Leader Kevin McCarthy (R-Calif.) said during an exchange on the House floor with Minority Whip Steny Hoyer (D-Md.) yesterday, Cristina Marcos reports at the Hill. Fighting has broken out between the al-Qaeda-linked Hay’at Tahrir al Sham (H.T.S.) and the ultraconservative Ahrar al-Sham in Syria’s rebel-held northwestern Idlib province, as H.T.S. attempt to capture a main border crossing point with Turkey, the AP reports in rolling coverage. Syrian government forces and the Lebanese group Hezbollah launched an operation on the Syrian-Lebanese border to clear out fighters from the Arsal area, the Lebanese army deploying reinforcements on the outskirts of Arsal in anticipation of fighters fleeing into Lebanon, Al Jazeera reports. Significant gains in the early stages of the Syrian-Lebanese operation were reported by Hezbollah’s media, Laila Bassam and Tom Perry report at Reuters. Insurgents ambushed a Syrian military unit killing 28 government troops near the capital of Damascus yesterday, according to an opposition activist and the U.K.-based Syrian Observatory for Human Rights, the ambush taking place in the rebel-held village of Rihan. The AP reports. “We definitely feel betrayed,” Gen. Tlass al-Salameh of Osoud al-Sharqiya, a group affiliated with the Free Syrian Army, said yesterday, commenting on President Trump’s decision to end the C.I.A. program supporting Syrian rebels, other rebel commanders stating that the decision would boost President Bashar al-Assad’s regime and strengthen Iran. Erin Cunningham and Heba Habib report at the Washington Post. The C.I.A. program in Syria was doomed from the beginning as it was “too late, too limited and too dependent on dubious partners,” and the program provided Russia with a pretext for military intervention in September 2015. David Ignatius suggests what could have been done differently at the Washington Post. “I have no doubt we have the support of Congress,” Defense Secretary Jim Mattis told reporters yesterday following a briefing with lawmakers on the Trump administration’s strategy to combat the Islamic State in Syria and Iraq, with some expressing confidence and others concerned about the lack of an endgame. Rebecca Kheel reports at the Hill. Israel’s “Operation Good Neighbor” has provided treatment and humanitarian aid for Syrian civilians, the project, which started in June 2016, demonstrating cooperation between Syrians and Israelis, providing security benefits for Israel on its border with Syria, and burnishing the reputation of Israel’s military. Isabel Kershner reports at the New York Times. The Islamic State’s affiliates have successfully set up “provinces” across the world proving that despite the fall of the Islamic State’s “caliphate” in Syria and Iraq, the organization has transformed the political ideology of the insurgent groups that joined its caliphate project, Yaroslav Trofimov writes at the Wall Street Journal. Once again President Trump has proved his subservience to Russia’s interests and worldview in cutting off aid to American proxies in Syria, and concessions without reciprocation made against the advice of foreign policy advisers “smacks more of payoff than outreach” with the result that America is strategically and morally disarmed, writes Michael Gerson at the Washington Post. The “most important” thing the Trump administration can do is “separate” North Korea from its “dangerous” leader, C.I.A. Director Mike Pompeo said yesterday in what CNN’s Eli Watkins cites as “some of the most aggressive comments yet” from the administration on North Korean leader Kim Jong-un. North Korea was urged to respond to South Korea’s proposal to hold talks this week at the border truce village of Panmunjom by defense ministry spokesperson Moon Sang-Kyun after it ignored the original offer made Monday, Al Jazeera reports. The U.S. will ban its citizens from traveling to North Korea, the ban due to take effect 30 days after its announcement on July 27, according to two tour agencies that operate there. The U.S. has not confirmed the claims, the BBC reports. The U.K. stands “shoulder to shoulder” with Japan in putting an end to North Korea’s nuclear and missile programs, U.K. Foreign Secretary Boris Johnson said today after meeting his Japanese counterpart in Fumio Kishida, the AP reports. Why hasn’t North Korea responded to the South’s offer of talks? The AP’s Hyung-Jin Kim and Kim Tong-Hyung offer some explanations, with the caveat that outside knowledge of decision-making under Kim Jong-un is limited. A decree amending provisions of a law on “combating terrorism” and providing definitions of terms such as “financing terrorism” was issued by Qatar’s Emir Sheikh Tamim bin Hamad Al Thani yesterday, coming soon after an agreement between Qatar and the U.S. on committing to efforts to tackle terrorism was signed by Secretary of State Rex Tillerson during a recent visit to Doha, Al Jazeerareports. The cyberattack on Qatar’s official media originated from U.A.E., according to Qatar’s Ministry of Interior, stating that the sophistication of the hack, which attributed false quotes to Qatar’s Emir, was supported by “state resources.” Al Jazeera reports. China’s Foreign Minister Wang Yi has called on Gulf countries to “continue face-to-face talks as soon as possible,” making the comments yesterday following a meeting with Qatar’s Foreign Minister and a day after meeting with a top U.A.E. official. Al Jazeera reports in rolling coverage. An execution site has been discovered in the recently recaptured Iraqi city of Mosul, according to Human Rights Watch, the rights group raising concerns about allegations of ill-treatment and extrajudicial killings with the government in Baghdad, Al Jazeera reports. Families accused of having relatives in the Islamic State group have been forcibly displaced to Shahama camp by the Popular Mobilization Forces (P.M.F. ), which has been described as an “open-air prison” by Human Rights Watch, the head of the P.M.F. stating that they were being sent to the camp for their own protection. Al Jazeera reports. The violence in Iraq will not end while perpetrators of abuse and extrajudicial killing act with impunityand the actions of some within the security services will lead to anger, mistrust and, inevitably, more violence and instability. Zaid al-Ali writes at Al Jazeera. Israeli police are prepared for disturbances and violence in Jerusalem today following the Israeli government’s decision to keep in place controversial security measures introduced Sunday after three Palestinian Israeli gunmen emerged from the al-Aqsa mosque – a contested holy site revered by Muslims and Jews – and killed two Israeli police officers on Friday, Ruth Eglash reports at the Washington Post. Palestinian worshippers clashed with Israeli police near the contested site yesterday over the installation of metal detectors, and Muslim clerics have called for mass protests today, Aron Heller and Ilan Ben Zion report at the AP. Metal detectors will remain in place at the contested holy site, Israeli police confirmed today, Palestinian Authority President Mahmoud Abbas asking the U.S. to “intervene urgently” to persuade Israel to remove the detectors, according to a senior Palestinian official. The AP reports in rolling coverage. Muslim men under the age of 50 will not be allowed near the site, Israeli police said today, as tensions rise in Jerusalem and some Palestinians fear that Israel is trying to retake the site by stealth, Al Jazeera reports. Hamas warned Israel against crossing a “red line” yesterday, the leader of Hamas Ismail Haniyeh stating Israel’s policy of “closure and collective punishment” of Palestinians “will not be tolerated,” Al Jazeera reports. World leaders have raised concerns about the escalating tensions in Jerusalem and some countries, such as Turkey and Lebanon, have condemned Israel’s restrictions on access to the al-Aqsa Mosque, Al Jazeera reports. The Islamic State’s central command in Syria has sent tens of thousands of dollars to militants in the Philippines in the last year, most likely assisting their seizure of the city of Marawi, according to a report from the Jakarta-based Institute for Policy Analysis of Conflict released today, Jon Emont and Felipe Villamor report at the New York Times. Warnings of further attacks by militants in Southeast Asia including on foreigners as the battle between Philippine forces and Islamic State-linked fighters in the southern city of Marawi are also contained in the report, Reuters’ Tom Allard reports. President Trump has offered the post of U.S. ambassador to Germany to Richard Grenell, a Republican diplomatic aide who served four U.S. ambassadors to the U.N. and worked closely with the George W. Bush administration, Maggie Haberman reports at the New York Times. The U.S. warned South Sudan yesterday that it would review its “position and priorities on support for the  peace agreement” if South Sudan’s leaders failed to participate in a high-level forum aimed at resolving the conflict between Sudan and South Sudan, Edith M. Lederer reports at the AP. The U.S. should honor its wartime allies by expanding the special immigration visa program and giving Iraqi and Afghani immigrants the opportunity to thrive once in the U.S., Matt Zeller writes at the Washington Post. Air Force Gen. Paul Selva’s nomination to be the vice chairman of the Joint Chiefs of Staff for another two years was approved by voice vote by the Senate Armed Services Committee yesterday, while the panel by voice vote favorably reported several nominations for civilian Pentagon roles, all of which will now go to the full Senate for a vote. Ellen Mitchell reports at the Hill. A Chinese flotilla is heading for the Baltic Sea where it will engage in military exercises with the Russian Navy, the first ever joint China-Russia operation in European waters, CNN’s Brad Lendon and Steve George report. As his first act on the job, Scaramucci announced that Sarah Huckabee Sanders would be the new press secretary. She had been Spicer’s deputy. The shake-up on the communications team comes as Trump is suffering from dismal approval ratings and struggling to advance his agenda. The president has been frustrated by all the attention devoted to investigations of allegations of his election campaign’s connections to Russia. Scaramucci, in a briefing room appearance after his appointment was made official, flashed the television skills that Trump has long valued: He praised Trump’s political instincts and competitiveness, cracked a few self-deprecating jokes and battled with reporters who categorized the West Wing as dysfunctional, saying “there is a disconnect” between the media and the way the public sees the president. Spicer said during a brief phone conversation with The Associated Press that he felt it would be best for Scaramucci to build his own operation “and chart a new way forward.” He tweeted that it had been an “honor” and “privilege” to serve Trump and that he would remain in his post through August. Spicer’s daily press briefings had become must-watch television until recent weeks when he took on a more behind-the-scenes role. Sanders had largely taken over the briefings, turning them into off-camera events. Scaramucci did not commit to putting the briefings back on camera full-time. He also made clear that he would continue the West Wing’s plan to push back against media reports it doesn’t like — and would do a better job of selling its victories. “The president is a winner. And we’re going to do a lot of winning,” Scaramucci said. Spicer spent several years leading communications at the Republican National Committee before helping Trump’s campaign in the general election. He is close to White House chief of staff Reince Priebus, the former RNC chair, and several of the lower-ranking aides in the White House communications shop. Priebus told The Associated Press that he supports Scaramucci “100 percent,” despite reportedly trying to prevent the financier from getting multiple administration positions. Scaramucci is expected to play a visible role as one of Trump’s defenders on television. But Spicer and other officials questioned his hiring as communications director ahead of the president’s push to overhaul the tax system and other policy issues. Scaramucci’s hire was a surprise. He had been told by the administration that he would be nominated as U.S. ambassador to the Organization for Economic Cooperation and Development, an intergovernmental economic organization that includes the world’s better-off countries. Spicer’s tenure got off to a rocky start. On Trump’s first full day in office, he lambasted journalists over coverage of the crowd size at the inauguration and stormed out of the briefing room without answering questions. The resignation comes a day after Mark Corallo, the spokesman for the president’s outside legal team, left his post. And in a separate move, former White House aide Katie Walsh is returning to the RNC, spokesman Ryan Mahoney said. Walsh will serve as an adviser on data and digital issues, and the appointment is unrelated to the White House personnel changes, he said. Associated Press writers Jonathan Lemire, Darlene Superville, Vivian Salama and Jill Colvin in Washington and David Bauder in New York contributed to this report. Members of President Donald Trump’s legal team are exploring ways to undermine special counsel Robert Mueller’s investigation into possible collusion between the Trump campaign and Russia in the 2016 election, The Washington Post reports this morning. The New York Times describes how Trump’s lawyers and aides have been combing through the backgrounds of Mueller’s team in the hopes of getting them—or even Mueller himself—recused from the investigation. Trump has reportedly asked his advisers about his ability to pardon members of his administration, his family, and even himself, though two sources said these discussions are purely theoretical. The president has expressed frustration over the fact that the Mueller probe may delve deeply into Trump and his associates’ financial dealings. Additionally, Mueller has asked White House staff to preserve all documents related to the June 2016 meeting between Donald Trump, Jr. and figures linked to the Kremlin, including the Russian attorney Natalia Veselnitskaya. Though Veselnitskaya has denied ever acting as an agent of the Russian government, Reuters reports that she represented the Russian FSB spy agency in a property dispute from 2005 through 2013. Senate Judiciary Chairman Chuck Grassley (R-IA) has threatened to subpoena Donald Trump, Jr. and Paul Manafort if they refuse to testify before the committee voluntarily at its upcoming Wednesday hearing on the Trump Tower meeting, CNN reports. Manafort also attended the meeting with Veselnitskaya and Trump Jr. during his time as manager of the Trump campaign, along with the president’s son-in-law Jared Kushner. Sean Spicer has resigned as White House press secretary, the Times reports. He allegedly cited his disagreement with Trump’s decision to appoint wealthy financier Anthony Scaramucci as the new communications director. Trump decided to shake up his legal and communications team in response to the Mueller probe and a stalling domestic agenda, the Post reports. Longtime personal attorney Marc Kasowitz will step back from leading the legal team, with Washington white-collar crime attorney John M. Dowd taking control. Spokesman for the outside legal team Mark Corallo resigned Thursday after just two months in the position. Trump brought attorney Ty Cobb onto the White House team last week to coordinate internal responses to the Russia probe. Yesterday, the Department of Justice and Europol announced the largest-ever sting against dark web black markets in history, Wired reports. Dutch authorities had quietly taken over a dark web market called Hansa, but continued to allow it to operate. Once the FBI took down another popular market, AlphaBay, users flocked to Hansa. Authorities were then able to gather information on thousands of users, including postal addresses and messages. In a highly unusual move, Trump met with his nominee for the U.S. Attorney for D.C. prior to her selection, CNN reports. Jessie K. Liu said in her disclosure to the Senate Judiciary Committee that she had met with the president during her interview process, but noted that no one had asked for a loyalty pledge such as Trump requested of former FBI Director James Comey, nor had she given one. Several former U.S. attorneys and law enforcement officials said such a meeting would have been unheard of in past administrations because it could undermine the insulation of U.S. attorneys from political influence. Others said the meeting was not a cause for concern given the importance of the position. The Treasury Department has fined ExxonMobil $2 million for sanctions violations committed during now-Secretary of State Rex Tillerson’s tenure as CEO, Foreign Policy reports. The Department claims that Exxon showed “reckless disregard” for sanctions against Russia and also damaged Ukraine-related sanctions. The company is fighting the fine in federal court. China dispatched a warship to the Baltic Sea to conduct the first-ever China-Russia joint naval exercises in European waters, CNN reports. Both the advanced technology of the warship and the decision to conduct the exercises so close to Europe has captured the attention of NATO. China experts say the move is an effort to demonstrate the country’s military strength and an increasingly global reach. The Department of Defense blocked the disbursement to Pakistan of $300 million initially designated to reimburse the country for its fight against terrorist groups, Foreign Policy reports. The Pentagon said that Defense Secretary James Mattis could not adequately certify that Pakistan had taken “sufficient action” against the Haqqani Network terrorist organization. A report released by the Pentagon last week came to a similar conclusion, criticizing Pakistan’s failure to take substantial action against the Haqqani Network and the Afghan Taliban and for failing to limit the threat that the groups pose to U.S. interests in Afghanistan. The Navy has its first female candidates for two elite special operations positions previously closed to women, NPR reports. One candidate is in the pipeline to become a SEAL officer, while the other will attempt to become a special warfare combatant crewman. The two will need to complete extremely rigorous training programs with high attrition rates before landing the positions. Lawfare published a chapter from Charles Black Jr.’s 1974 Impeachment: A Handbook exploring the parameters of what constitutes an impeachable offense. Jane Chong applied Black’s guide to the issues surrounding the Trump administration. Benjamin Wittes discussed Trump’s attack on federal law enforcement in his Times interview. Jack Goldsmith examined the interview’s implications for the independence of the Justice Department. Bob Bauer considered what the interview revealed about Trump’s legal position and potential difficulties. Murray Scot Tanner analyzed the offensive shift in China’s new National Intelligence Law. Investigative reporter Craig Unger looks at how the Russian mafia has …. 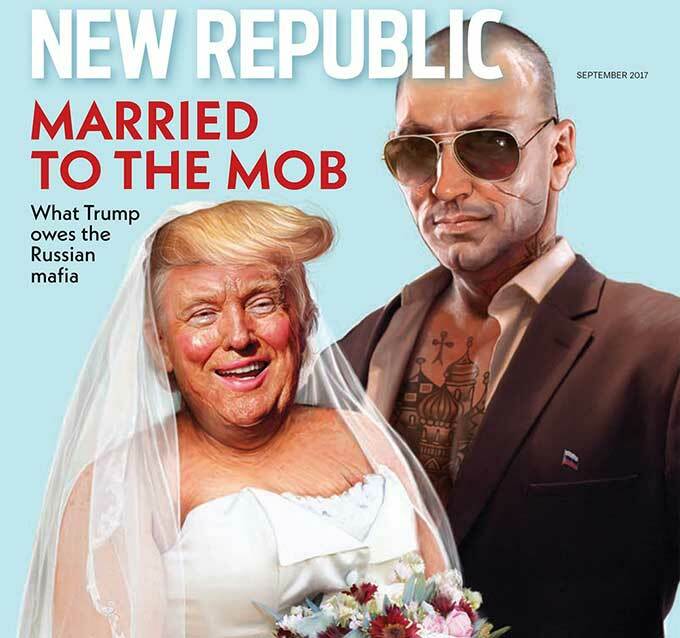 for the New Republic is headlined “Trump’s Russian Laundromat. Money laundering may be an age-old crime, but it’s not at all behind the times. Reports that President Donald Trump’s former campaign manager, Paul Manafort, is under investigation for possible money laundering are putting a fresh spotlight on the crime, which is thought to touch trillions of dollars in assets each year. As a term, money laundering covers a broad range of techniques to hide ill-gotten gains from criminal activities. While governments and banks have developed new technology for tracking dirty money, money-launderers are also taking advantage of tech, relying on strategies such as online gaming and digital currency to “clean” their assets. As much as $2 trillion in assets are estimated to be money-laundered annually, according to the United Nations Office on Drugs and Crime, although the inter-governmental Financial Action Task Force (FATF) says it’s difficult to accurately assess the scope of the problem given its illicit nature. Money laundering doesn’t just affect criminals. The FATF notes that it can allow organized crime to take control of portions of a country’s economy or, through bribery, gain influence over public officials. How is technology changing money laundering? The anonymity of the internet and digital currencies are creating new outlets for money launderers. “Dirty” money can be put into online marketplaces, such as gaming platforms, and cashed out as “clean” money, according to a paper from cybersecurity expert Jean-Loup Richet. Some of those methods are simply updated versions of older techniques, such as a “mule” scam, where unwitting consumers are asked to do a favor for a stranger who sometimes claims to be a high-ranking official. Those favors can include transferring assets, which allows the criminal to clean their profits through their victim’s accounts. Others are newer, such as relying on digital currencies and online games such as World of Warcraft, where scammers can open accounts, send digital money to associates in other countries who then cash it out. How do criminals launder money through real estate? Illicit funds can be made to seem legitimate through real estate by by being funneled through limited liability companies that then purchase real estate, according to the U.S. Treasury’s Financial Crimes Enforcement Network, or FinCEN. Criminals also rely on shell companies to buy real estate in all-cash transactions, often for luxury real estate in New York City and Miami, according to the agency. Aren’t only shady organizations involved in money laundering? Actually, no. Some large banks and corporations have been charged with the crime, such as in the case of Wachovia Bank, which settled allegations of money laundering for $150 million in 2010. The bank admitted a “failure to identify, detect and report suspicious transactions.” Other well-known banks that have been accused of money laundering include HSBC, Bank of China and Credit Suisse, among others. What type of money laundering is tied to Russia? One of the biggest scams was the so-called “Russian Laundromat,” a scheme uncovered by the Organized Crime and Corruption Reporting Project, an investigative reporting group. The Russian Laundromat funneled at least $20 billion out of Russia and into dozens of other countries through shell companies, with the group noting the money may have been diverted from the Russian treasury using methods ranging from fraud to tax evasion, the group found. In a more recent case, the Department of Justice settled a $230 million money-laundering case earlier this year just days before the trial. The case involved Russian executive Denis Katsyv, the owner of Prevezon Holdings, with U.S. officials seeking to seize Manhattan real estate and other assets they alleged were used to launder money through a fraudulent tax refund scheme. What are the major money-laundering countries? According to the U.S. State Department’s assessment of countries of “primary concern,” there are dozens of nations whose financial firms are said to launder money for drug traffickers, including the United Kingdom, Russia and China. Another study of developing countries found that China and Russia are the No. 1 and No. 2 countries involved in illicit money outflows. U.S. Special Counsel Robert Mueller has widened his investigation into possible collusion between Russia and Donald Trump’s presidential campaign. Mueller is looking into Trump’s financial dealings with with unsavory Russian businessman, including mobsters and corrupt Kremlin officials. Mueller has his work cut out for him — the August/September issue of The New Republic has an in-depth article about Trump’s “decades-long ties to Russian mafia.” Only someone brainwashed by ideology could read this article and not think Trump has been up to no good for a very long time. After Vladimir Putin succeeded Yeltsin, Russia’s feared intelligence …. (aka Michael Sater) was a boss in the crime syndicate run by Mogilevich. Is Robert Mueller Examining Trump’s Links to Mogilevich? 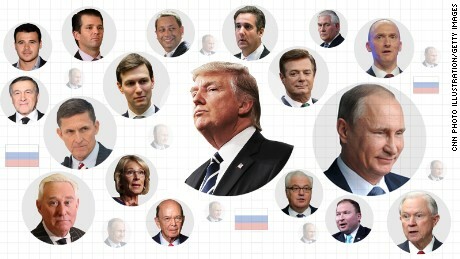 As we noted earlier here and here, among the many dictators, despots, and shady foreigners who called Trump Tower home were members of the Russian Mafia with connections to Semion Mogilevich, said to be the most dangerous Mobster in the world. Robert Mueller, the special counsel appointed to investigate Trump’s links to Russia, may also be taking an interest in Trump’s ties to Mogilevich, a man the FBI says is involved in weapons trafficking, contract murders, extortion, drug trafficking, and prostitution on an international scale. The hiring of Page, which was confirmed by a Mueller spokesman in The New York Times, gives the special counsel a team member with knowledge of not only Dmitry Firtash, but of the man who is believed to stand behind him: Semion Mogilevich. Full disclosure: Firtash hired the Washington law firm Akin Gump to clear him of links to Mogilevich. I profiled Akin Gump partner Mark MacDougall in this 2008 piece. Firtash, pictured above, made his fortune in the 2000s in the natural gas sector. In 2004, Firtash and a minority partner emerged with 50 percent ownership of a murky Swiss company called RosUkrEnergo (RUE). RUE extracts gas from Central Asia and acts an intermediary between Russia and Ukraine for the delivery of gas. The other half of RUE is held by Gazprom, the gas giant controlled by the Russian government, which shows that Firtash has close ties with the Kremlin. Billions of dollars flowed through RUE and some of that money was allegedly siphoned off by Semion Mogilevich, who U.S. government officials say (see here) is the man behind the curtain at the gas company. One of the few willing to say this publicly was Ukraine’s former prime minister, Yulia Tymoshenko, a political enemy of Firtash, who got thrown in jail for her troubles. Notably, Firtash’s stake in RUE remained a secret for two years. (S) The Ambassador asked Firtash to address his alleged ties to Russian organized crime bosses like Semyon Mogilievich. Firtash answered that many Westerners do not understand what Ukraine was like after the break up of the Soviet Union, adding that when a government cannot rule effectively, the country is ruled by “the laws of the streets.” He noted that it was impossible to approach a government official for any reason without also meeting with an organized crime member at the same time. Firtash acknowledged that he needed, and received, permission from Mogilievich when he established various businesses, but he denied any close relationship to him. And in this October 2009 press release, the FBI took note of Mogilevich’s control of natural gas supplies. “Through his extensive international criminal network, Mogilevich controls extensive natural gas pipelines in Eastern Europe,” the bureau wrote in a veiled reference to RUE. The question is what is the nature of the relationship between Firtash and Mogilevich. Is it a thing of the past, as Firtash insists? Or is Firtash a front man for Mogilevich? Presumably, the FBI — and, by extension, Lisa Page — knows the answer. The bureau has been investigating Firtash since 2006, according to The New York Times. A year before that, the FBI passed their counterparts in the Austrian police a confidential report naming Firtash as a “senior member” of the Semion Mogilevich Organization, according to a 2008 report by Roman Kupchinsky, an analyst with Radio Free Europe. Page’s work in Budapest involved her deeply in the Firtash/Mogilevich world. The Wired article suggests she worked on the case that led to Firtash’s arrest in Vienna in 2014. Firtash was indicted by a federal grand jury in Chicago on charges of plotting a bribery scheme to set up a $500 million titanium business in India. He remains free after a Russian billionaire friend posted bail of $174 million but cannot leave Austria. And Budapest is also a home of sorts for Mogilevich. He resided in Budapest when he ran a pump-and-dump scheme through a publicly traded front company called YBM Magnex Inc. Mogilevich was indicted in 2003 on charges of fraud, racketeering and money laundering in YBM Magnex. So, what does this have to do with President Trump? Firtash was a business partner of Trump’s former campaign manager, Paul Manafort, who was deeply involved in Ukrainian politics. Manafort advised Viktor Yanukovych on his successful 2010 campaign for the presidency of Ukraine. He resigned from the Trump campaign after The New York Times found a handwritten ledger showing that Yanukovych paid Manfort $12.7 million in cash. While he was assisting Yanukovych, Manafort became business partners with Firtash. The two men explored developing a 65-floor tower on the site of the Drake Hotel in Midtown Manhattan. A 2011 lawsuit filed in New York by Tymoshenko, the former Ukrainian prime minister, called this partnership between Firtash and Manafort a means of laundering the proceeds of gas deals between the Ukraine and Russia. Firtash says that the lawsuit was full of lies, but he confirmed to Bloomberg Businessweek that he did put $25 million in an escrow account for the developers of the Drake project that Manafort helped him set up. The deal collapsed and the tower was never built. It’s a good bet to say that we only know a little of this story, which is buried in the files of the FBI and the US intelligence community. 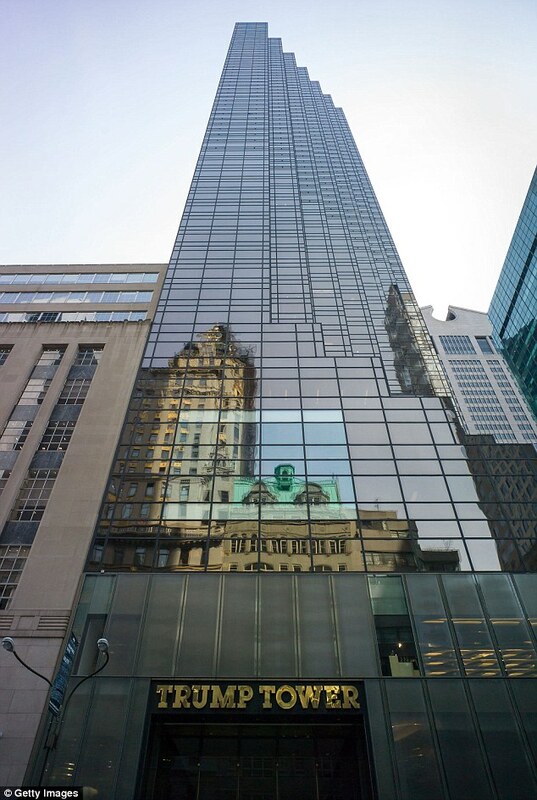 But Trump Tower’s role as a home away from home for Russian mobsters with Mogilevich and his unhinged, self-destructive reactions to anyone probing into Russia suggests that there is more, much more to come. Stay tuned. Unger writes, quote, “Whether Trump knew it or not, Russian mobsters …. was tied to the Mogilevichcrime gang, and Mogilevich is tied to Putin. 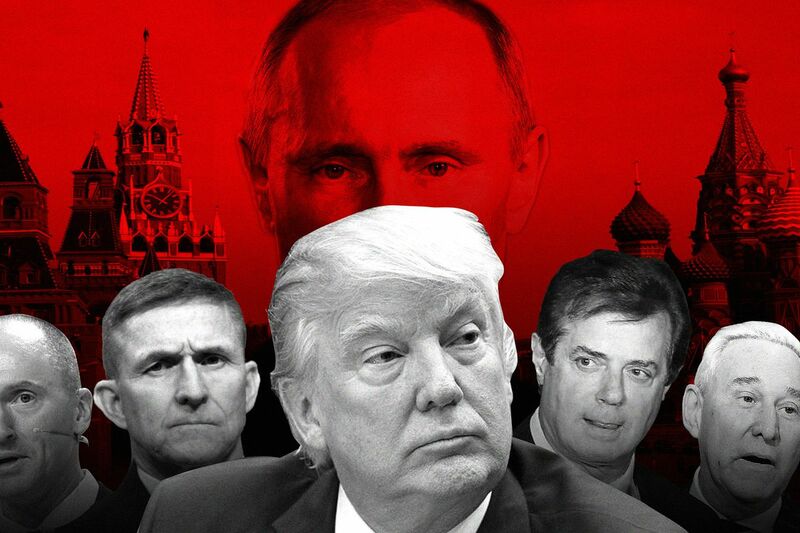 Trump Aides and Russian Mobsters Pulled Strings in Putin’s Massive …. a stake that is partially a front for Mogilevich to control the company.